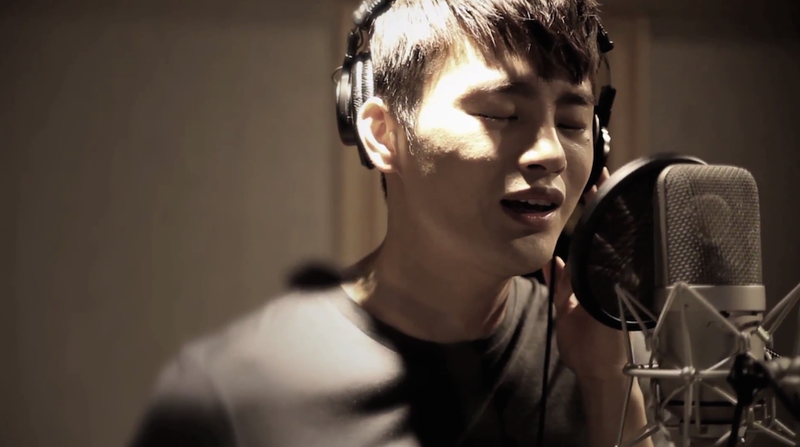 Seo In Guk just released his contribution to the High School King of Savvy OST with a song titled “Finding Myself”. It’s very fitting since it’s the theme song for his own character on the show. Seo In Guk continues to impresses me with his talent and I particularly like the feel of this song and how it matches so well with the drama. The music video consists of a combination of scenes from the show along with Seo In Guk in the recording studio. I’m already a huge fan of this show and this video does a wonderful job of highlighting some of the best moments. Come on, who doesn’t love cursing on the back of a scooter? Seriously, these two are so great together! What do you think of the song and music video? Do you agree that it fits well? More importantly, who else can’t wait for more of this fantastic show? I’m completely hooked! I also love the music video, and the lyrics. I think the lyrics really represents Min Suk, about how he wants to find his own self, and he wants to move on and forget Soo Young, but he can't because of this pretending act as his brother he found it difficult to find his own identity. You know what, I love it when an actor can sing his own character's feeling. It's just great. I notice that you love the main couple. I'm so glad to found one because I always meet people who love JW/SY more 😀 I love the popcorn OTP! I'm nervous about what will happen now after SY knows MS real identity.